From the celebrated and bestselling author of The Banker's Wife, worlds collide when a former FBI agent investigates a string of grisly murders on Long Island that raises the impossible question: What happens when the primary suspect is your father? FBI Agent Nell Flynn hasn't be... read full description below. From the celebrated and bestselling author of The Banker's Wife, worlds collide when a former FBI agent investigates a string of grisly murders on Long Island that raises the impossible question: What happens when the primary suspect is your father? FBI Agent Nell Flynn hasn't been home in twelve years. 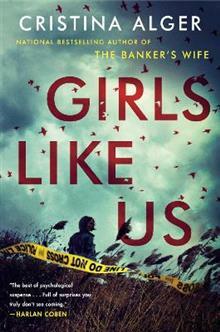 Nell and her father, Homicide Detective Martin Flynn, have never had much of a relationship. And Suffolk County will always be awash in memories of her mother, Marisol, who was brutally murdered when Nell was just seven. When Martin Flynn dies in a motorcycle accident, Nell returns to the house she grew up in so that she can spread her father's ashes and close his estate. At the behest of her father's partner, Detective Lee Davis, Nell becomes involved in an investigation into the murders of two young Hispanic women in Suffolk County. The further Nell digs, the more likely it seems to her that her father should be the prime suspect--and that his friends on the police force are covering his tracks. Plagued by doubts about her mother's murder--and her own role in exonerating her father in that case--Nell can't help but ask questions about who killed Ria Ruiz and Ariana Marques and why. But she may not like the answers she finds--not just about those she loves, but about herself. Cristina Alger is the author of The Banker's Wife, The Darlings, and This Was Not the Plan. A graduate of Harvard College and NYU Law School, she worked as a financial analyst and a corporate attorney before becoming a writer. She lives in New York with her husband and children.